Includes an illustrated history of magic and magicians, from the origins of the art in Egypt, through the nineteenth and twenthieth centuries to the magic of today, featuring magicians such as Siegfried and Roy, David Copperfield and David Blaine. Nicholas Einhorn is a highly experienced magician. He is a member of The Inner Magic Circle and has been awarded the prestigious "gold star" for his high standard of performance. He became The Magic Circle Close-up Magician of the Year in 1996. He is a frequent performer at celebrity parties, and television credits include TV AM, Sky Star Search, This Morning, The Human Brain, Carlton Kids and The Hidden World of London. His illusions have been purchased and performed by magicians all over the world, including some of the biggest and most established names in the business, such as Paul Daniels and David Copperfield. So, if you watched the video, you know exactly what I'm talking about. If not, you're missing out on some amazing magic. But that's okay; you can still get the book. 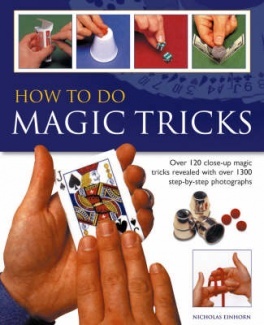 This book, How to do Magic Tricks is a great collection of magic. Whether you're new to magic and have never attempted it in you life or if you've been doing this for awhile, there are definitely a few things that you can pick up from reading this book. It starts out explaining the very simplest of things like, how to hold a deck of cards. Now, I know what you're saying. "Austin, I know how to hold a deck of cards." If you are saying that, then I respectfully tell you that you are wrong. Only will you truly know how to hold a deck of cards when you know the difference between the dealer's grip, the biddle grip and the elevated mechanic's grip. But, fret not good sir or ma'am, for you can learn these differences. And, furthermore, you can learn how to put these various grips to good use. Though cards are truly the artistry of magic (Get it. Card. Art. Cardistry. Artistry. Bam. Mind blown. 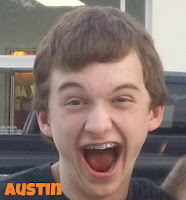 ), you might be saying, "Hey, Austin, cards aren't really for me. Are there types of magic that don't require a pack of playing cards?" Why yes, voice that is speaking to me through a book review, there are types of magic that don't require a pack of playing cards! With this book, you can learn coin tricks, rope tricks, dinner table tricks, and many more. This is a really great book for magic of all skills. Even if you already know how to perform everything in the book, it will give you presentation and performance advice. And, as a magician, I know the value of learning from a pro like Mr. Einhorn. If you're wanting to get into magic, get this book. If you're interested in learning more about magic, get this book. If you're a magician, get this book. It's definitely a great one to add to your library. One of my friends was on a magic kick a couple of years ago, and by golly, some of his tricks were REALLY good!! One of them was so bizarre that it actually gave me chills, even though I *knew* it was only a trick. Today i was surfing net and come across your site so i decided to share this site with you people.My friend told me that this site consists of reliable tricks and tricks based on reality!